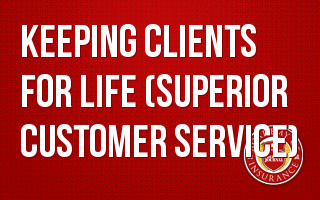 Certainly every agency wants to keep their best clients for life (exceed their client's service expectation.) This has to be true! If it's not true, why do agency owners and producers make such a big deal about customer service when working to win a new client? Since the mind can't "see" service, how do you define it so clients see and understand it? What is your VIP client management process to keep them for life? How much poor service does it take to drive a client away and do you know when a client is ready to depart? To your client, good surprises are wonderful and "bad" surprises are fatal. Learn how to create wonderful surprises and prevent bad surprises. How to define "Client Care"